2011: Waste removal and paving. 2013: Vegetative clearing along the bank of the Seneca-Cayuga Canal. Obtained a 10 cubic yard sediment sample from the Cayuga-Seneca Canal and performed a soil capping project at the same portion of the site. Over 5,000 tons of impacted material were removed from the site, a demarcation layer installed, and a 6-inch clay soil cap was installed over the area. 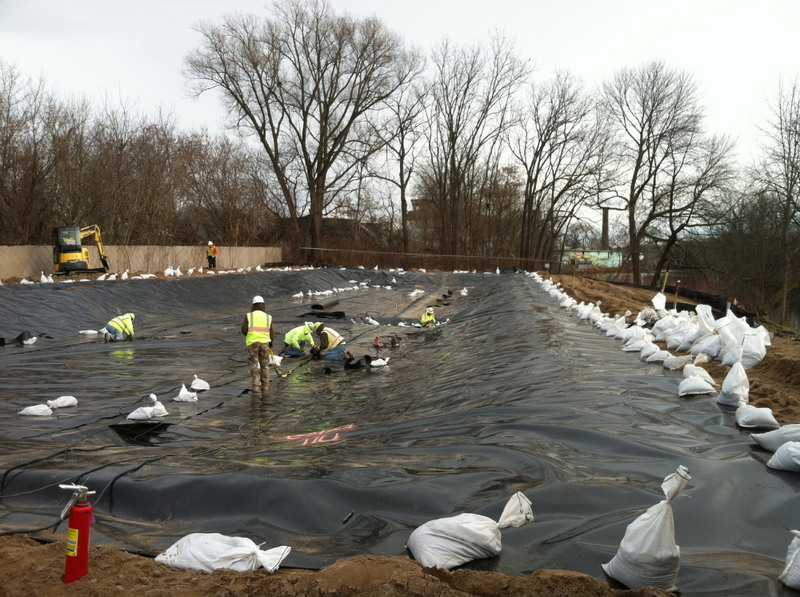 The banks of the canal were improved with erosion control blankets and drainage features. NRC also constructed a lined, bermed dewatering and staging pad for the purpose of solidifying wet sediment prior to off-site disposal in support of a larger sediment removal project. 2014-2015: Removal of 10,800 tons of sediments from three deposits in the canal using mechanical dredging practices. Dredging was conducted using GPS equipment and barges to transport the sediments for offloading. All of the dredging activities were conducted within silt curtains that extended to the canal bottom and surrounded the disturbance area. The sediments were off loaded into a dewatering pad where they were solidified with cement kiln dust and transported off site for disposal. Water generated during the dredging activities were treated on-site through a mobile treatment system and returned to the canal. 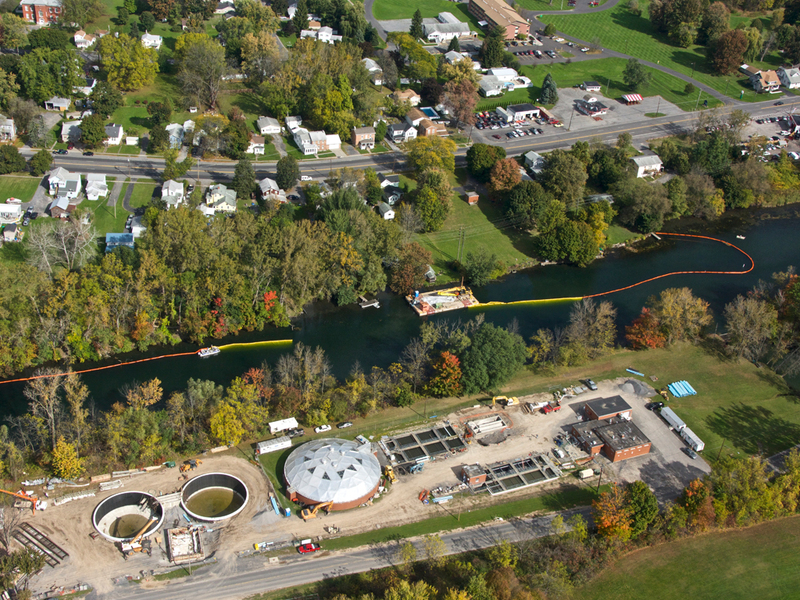 Over 1,000,000 gallons of water was treated and returned to the canal. The restoration included the installation of over 200 linear feet of gabion baskets and reno mattresses, and over 400 linear feet of rip rap along the river bank. In addition, rip rap materials were placed under water into the sediment removal areas as a slope protection measure. 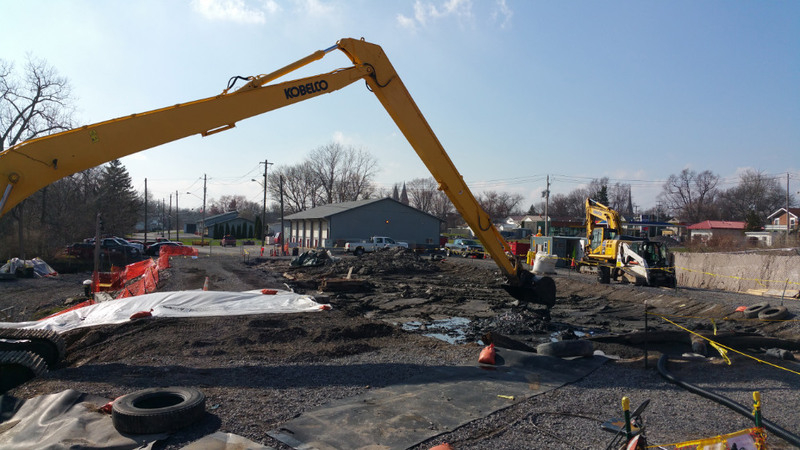 Clearing, sediment sampling, excavation, dewatering and staging pads installation. Excavation of 5,000+ tons of PCB impacted material. Installation of 6” clay soil cap. 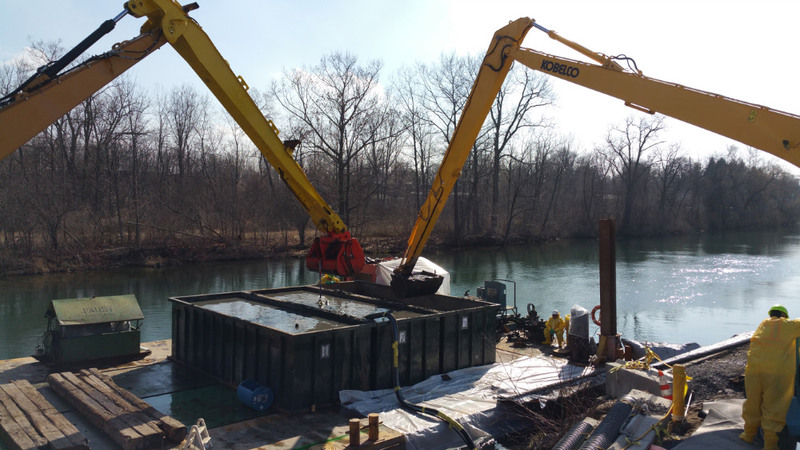 Dredging, removal, and disposal of 10,800 tons of contaminated sediment from canal bottom. Award from property Owner for dedication to Health & Safety.